A police report compiled by the Indianapolis Metropolitan Police Dept. stated that Thompson was driving a 2012 gray Infiniti when he rear-ended a vehicle at Keystone Avenue and 96th Street. The vehicle Thompson rear-ended then struck a third vehicle. Thompson tested at a .126 on a preliminary breath test and submitted to a blood draw. He was then placed under arrest for an OWI. 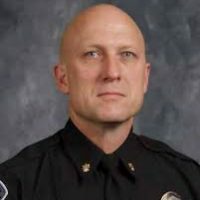 As of July 27, Assistant Chief Ed Gebhart was placed as acting chief.